Let's kick off week TWENTY SEVEN of Life Created Tuesdays with this week's features! 1. 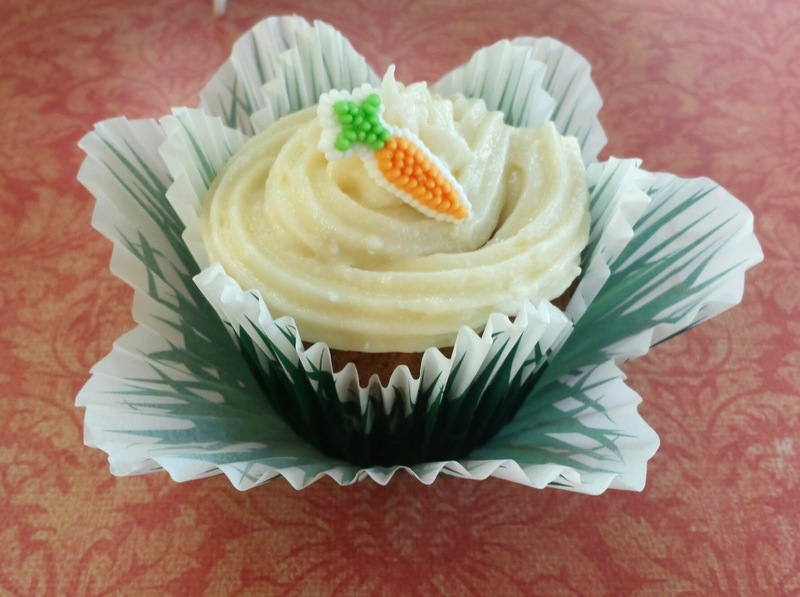 Cathy from Three Kids and a Fish shared these sweet Carrot Cake Cupcakes! Yum! 2. 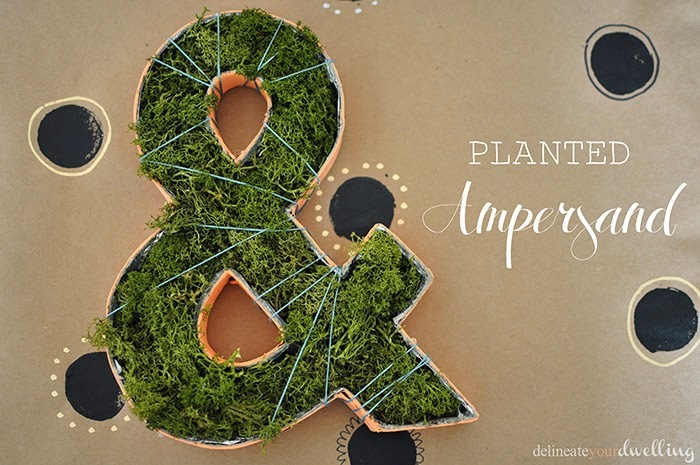 Amy from Delineate Your Dwelling shared this adorable Planted Ampersand! 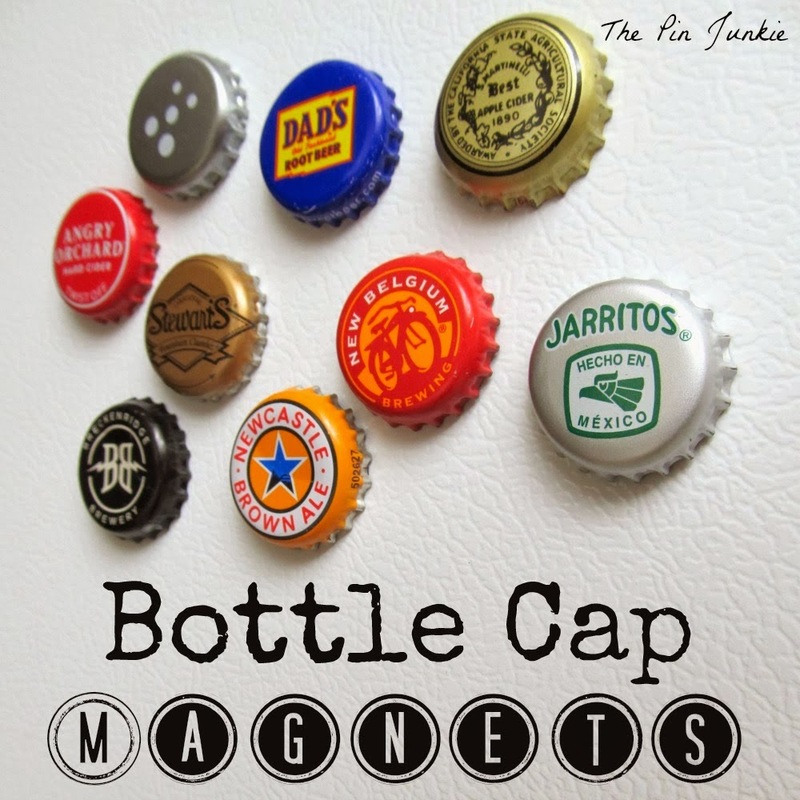 Perfect for those Spring and Summer outdoor get togethers we've got coming up! 3. 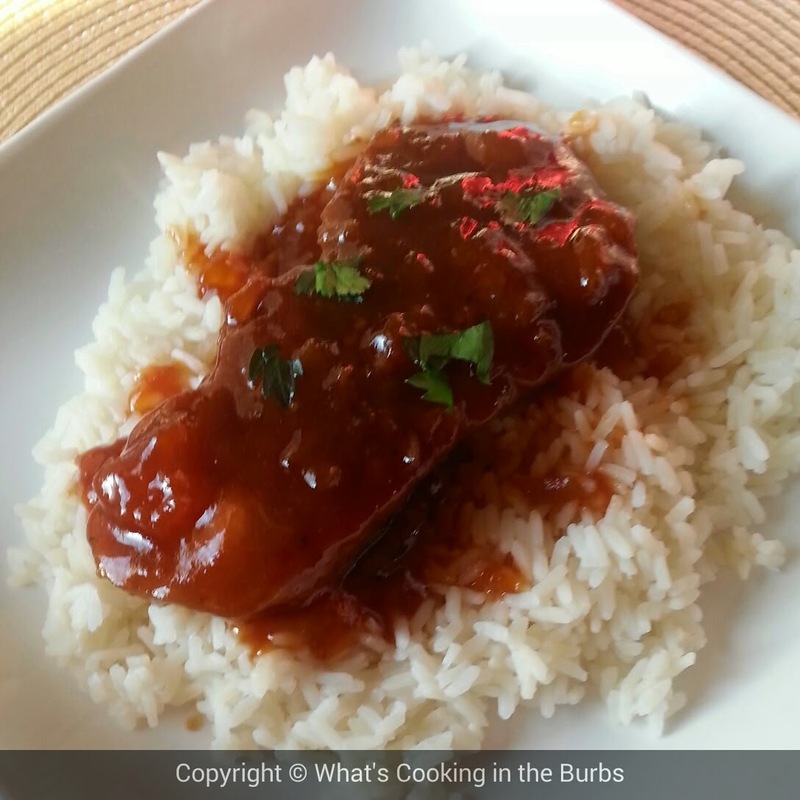 Bridget from What's Cooking in the Burbs shared these super easy Crockpot Sticky Pork Chops! What a perfect way to keep your kitchen from getting too hot this Summer! 4. 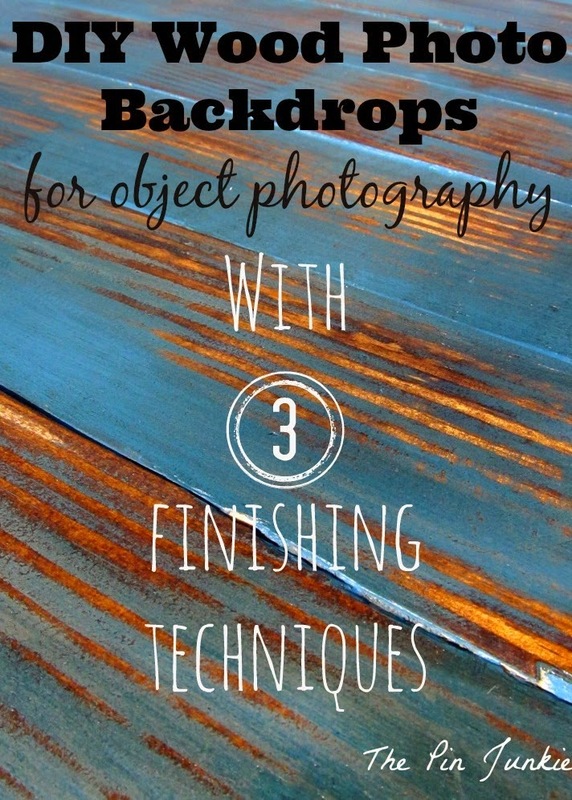 Bonnie from The Pin Junkie shared her DIY Wood Photo Backdrops! Anyone else got some little ones to photograph this Spring? These are perfect! 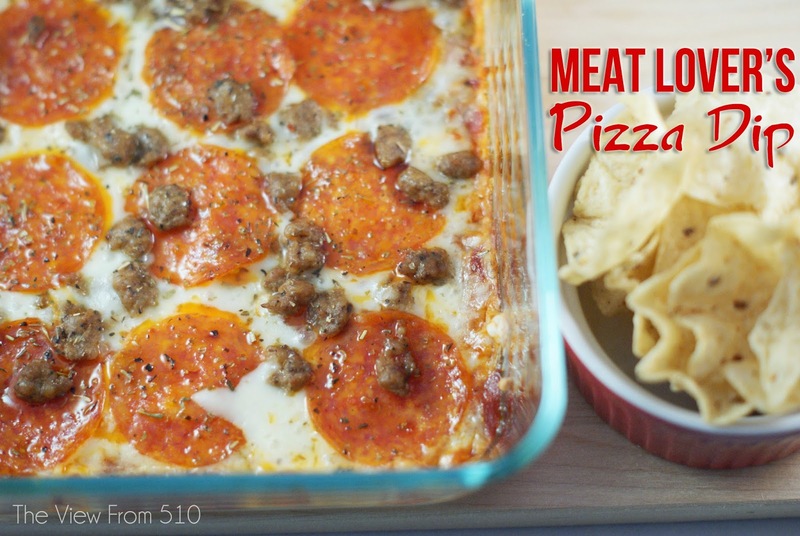 This Meat Lover's Pizza Dip makes the whole family happy with a creamy cheese layer, lots of pepperoni and an italian kick - you'll be serving this dish at every event, I promise you! We've had a lot to celebrate around the 510 Household the last few months. It started back in December with "The Holidays" and it'll continue into April. I realized last week I have still not documented Christmas on this blog! I mean, really?! You know you're busy when...you're not blogging! 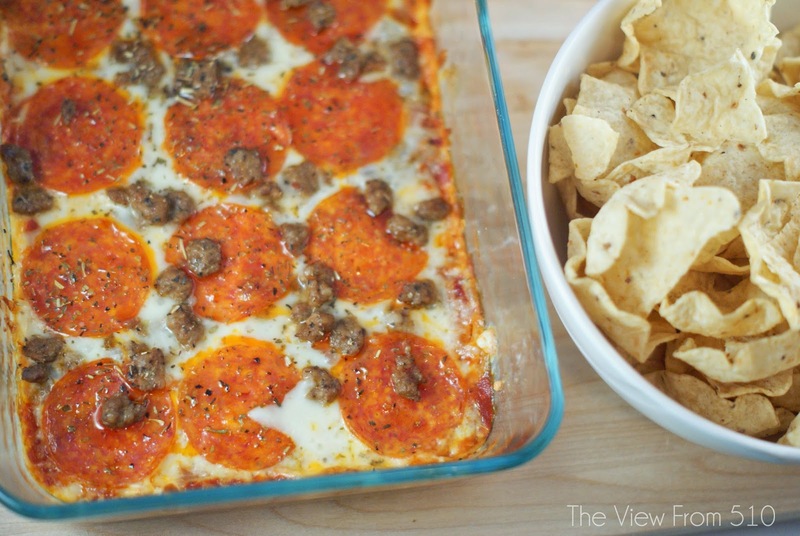 This Meat Lover's Pizza Dip was first made back at Christmas. My aunt, our usual Christmas Eve host, had recently had surgery so I wanted to bring a little extra than I normally do. A pepperoni pizza dip had been lingering on my Pinterest board and I thought this the perfect time to give it a try. This dip has been - and will be - made many more times in this house for essentially any event ever! In a medium bowl, combine cream cheese, sour cream and two (2) ounces of shredded cheese. Mix well until well combined. Spread mixture in an even layer over 8x8 baking dish. Pour pizza sauce over cream cheese mixture, covering evenly. Sprinkle remaining shredded cheese over pizza sauce. 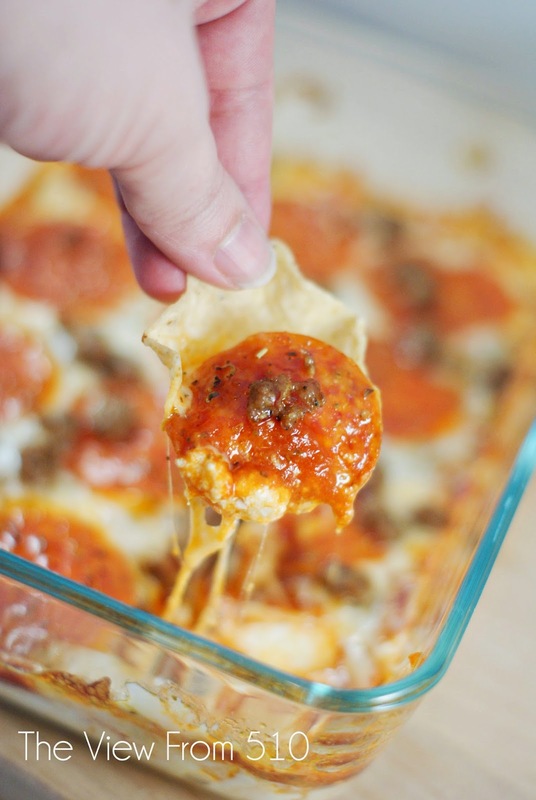 Top the dip with pepperoni, crumbled sausage, and a sprinkling of Italian seasoning and red pepper flakes. Bake for 20-25 minutes, until cheese is browned and bubbly. Serve warm with chips, pita squares, or french bread slices! 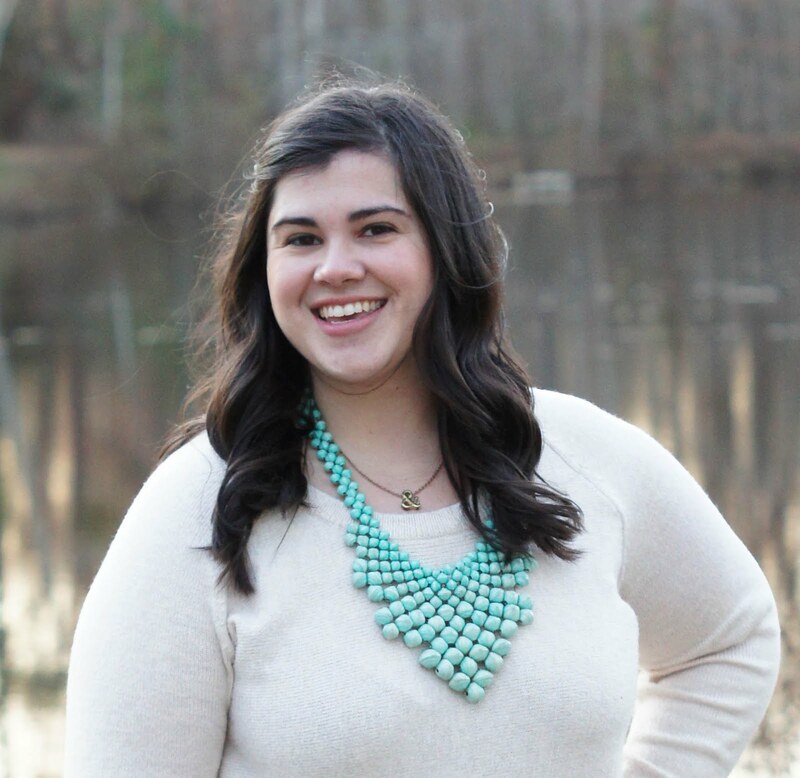 Let's kick off week TWENTY SIX of Life Created Tuesdays with this week's features! 1. 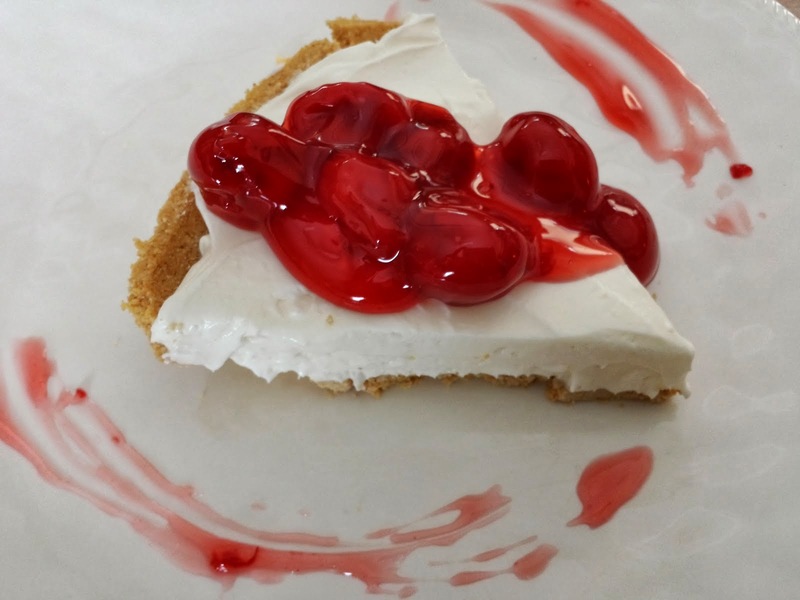 Cathy from Three Kids and a Fish shared her No Bake Cheesecake! Yummy! 2. 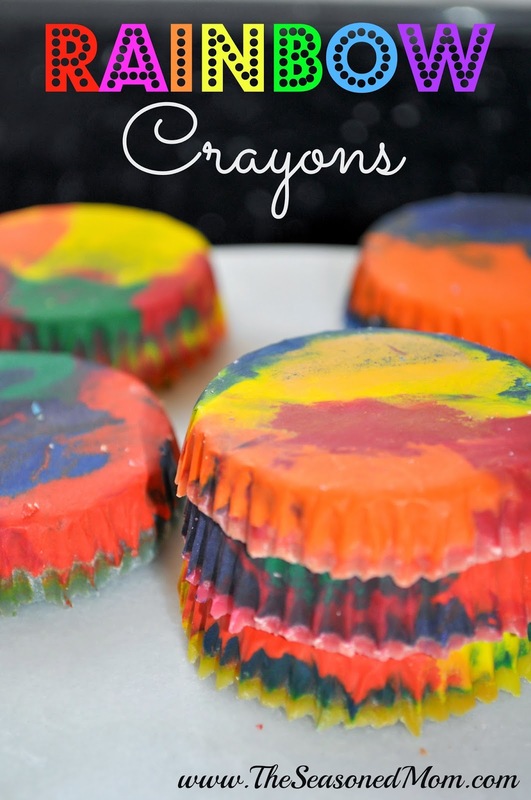 Blair from The Seasoned Mom shared her Rainbow Crayons! Super fun! 3. 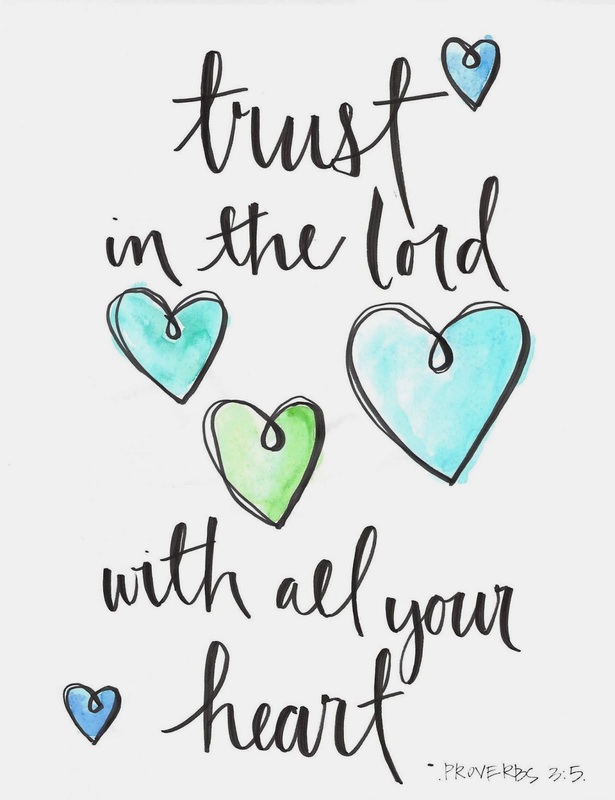 Amy from Delineate Your Dwelling shared her Trust in the Lord Printable! Perfect for Easter coming up! 4. 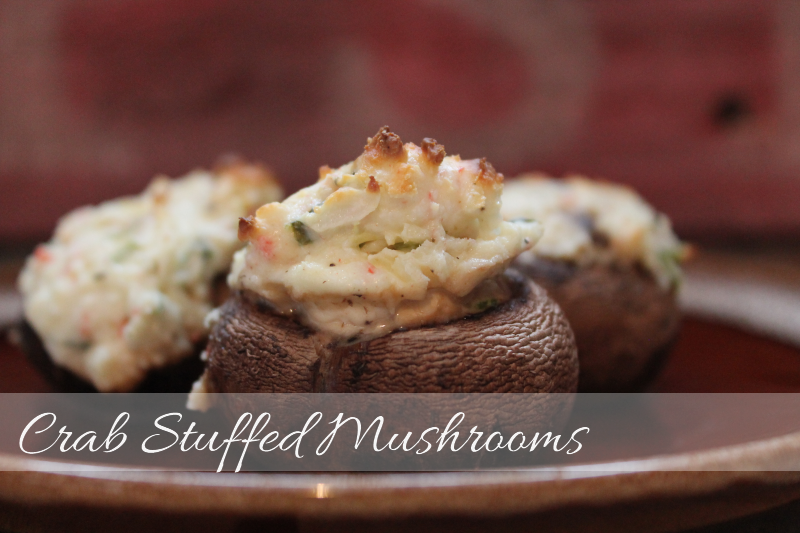 Andrea at Scrapality shared her Crab Stuffed Mushrooms! These look to die for! 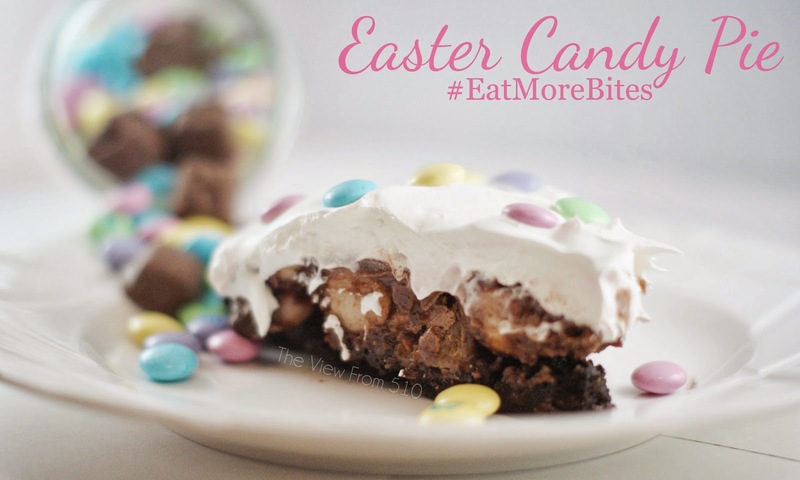 Treat the adults this season to an Easter Candy Pie filled with Milky Way Simply Caramel BITES and other scrumptious goodies. Be sure to read through the post for some awesome coupons! Now, onto the dessert details! It’s no secret I love a good dessert, especially one that features chocolate. With Easter quickly approaching and the candy aisles filling with all things pastel and bunnies, I couldn’t help but think adults completely get jipped on Easter. I mean, the kids get an entire basket chock full of chocolate bunnies, chocolate eggs, and sugar-coated marshmallows galore. Meanwhile, mom and dad are in the corner doing their best to sneak any spare candy before the kids notice their missing candy. 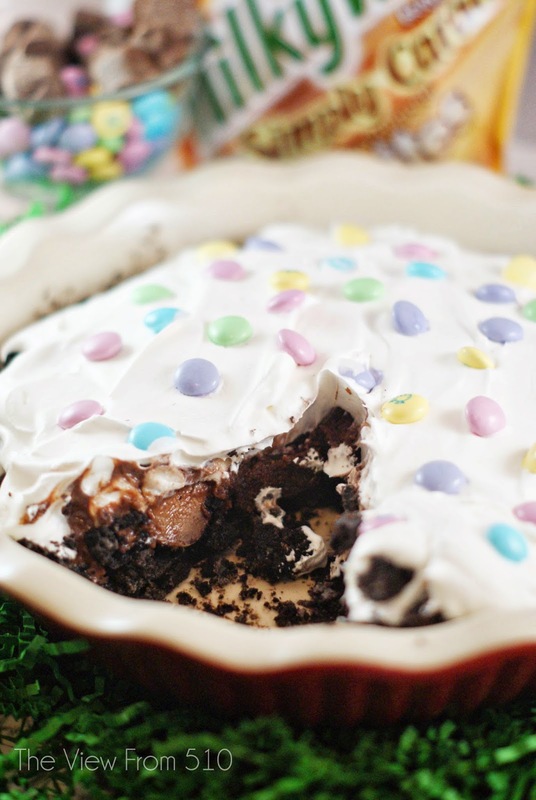 Well, friends, I bring you good news today in the form of an Easter Candy Pie. This pie, featuring Milky Way Simply Caramel BITES, is the ideal answer to our candy problems! Starting with a basic chocolate crust and building on it layer by layer, you’ll no longer need to steal those goodies from the kids’ Easter baskets. 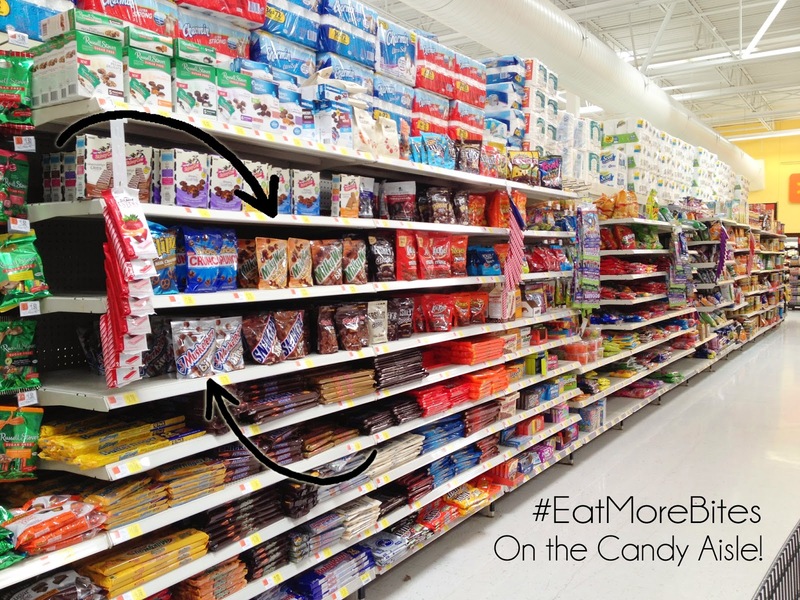 Head to your local Walmart and b-line it for the candy aisle. Oh, how I love this aisle. It wasn’t hard to spot these bites and in fact I had a hard time just buying two bags! 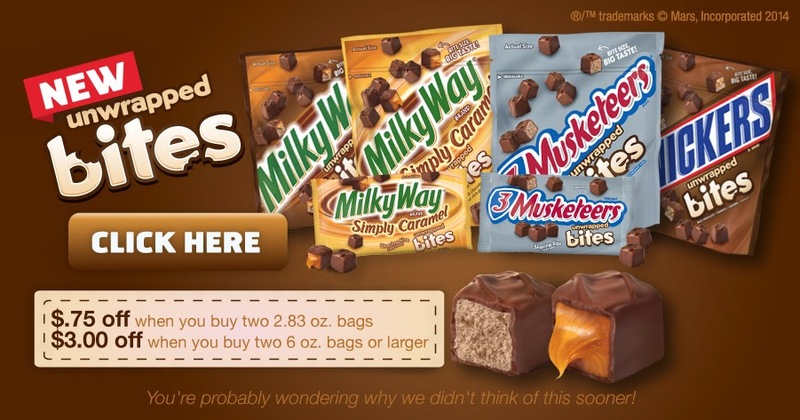 Seriously, these bags are filled with UN-WRAPPED Milky Way Simply Caramel BITES and 3 Musketeer BITES. Have you ever baked something that called for candy that comes pre-wrapped? Un-wrapping candy becomes a chore in itself before you can even get to baking. Thankfully, Mars® has cut out that chore and gets us straight to the chocolate. Hooray! First up, prepare your chocolate cookie crust. If you prefer, you can buy a pre-made crust. 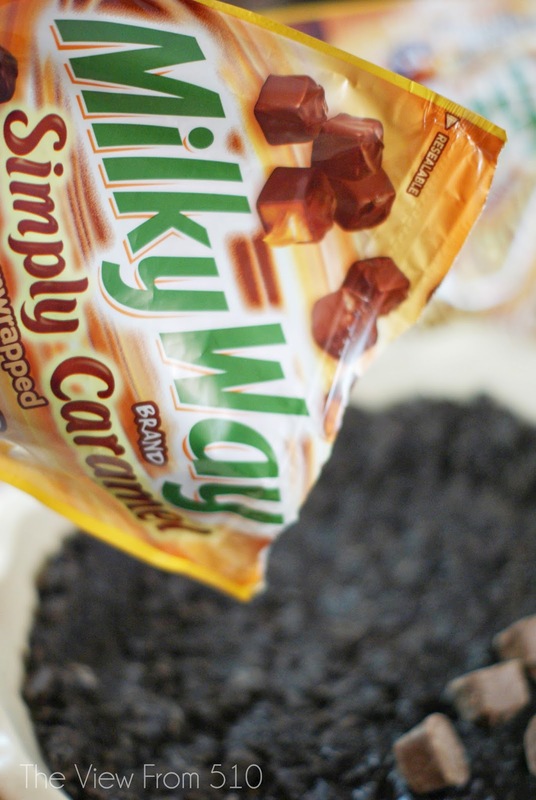 Next up, pour in those Milky Way Simply Caramel BITES. Add brownie squares along with your BITES - candy lovers tip: if you're just over the moon about candy throw in a few 3 Musketeer BITES as well! Then, you’re going to cover it with a chocolate pudding and marshmallow layer, cover with foil and refrigerate for at least four hours. Yes, that’s right, you do not get to eat the pie yet! 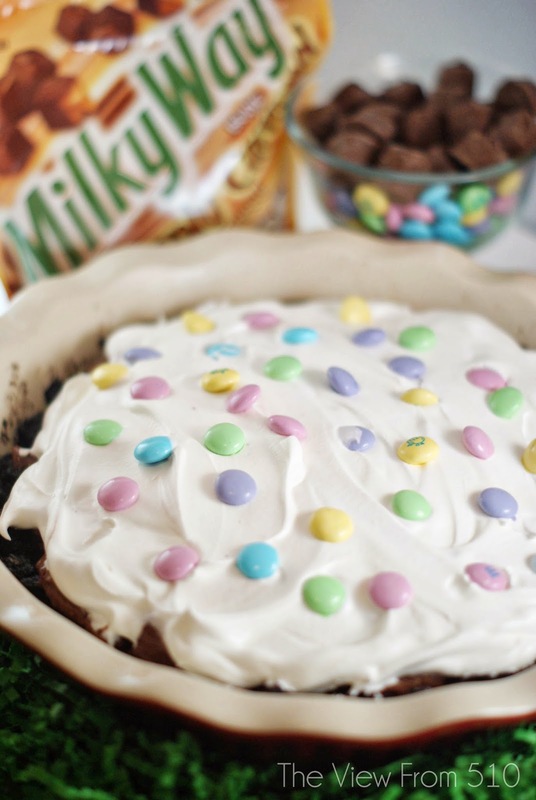 Once the pie has set, cover with cool whip and sprinkle with Easter M&Ms - and voila! As promised I'm sharing not one but two coupons for your Mars BITES! Receive $0.75 off when you by two (2) 2.83 oz. bags or $3.00 off when you buy two (2) 6 oz. bags or larger! Now, give your kiddo their basket of candy and head to the kitchen for your fair share of candy this Easter! 1. 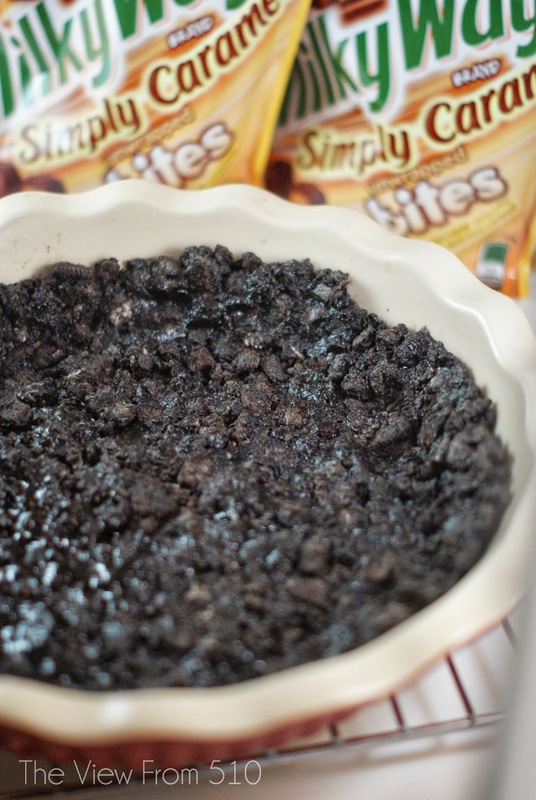 Mix Oreos and melted butter together and press into a 9-inch pie plate. Bake 5 minutes. Remove from oven and cool on wire rack. 2. 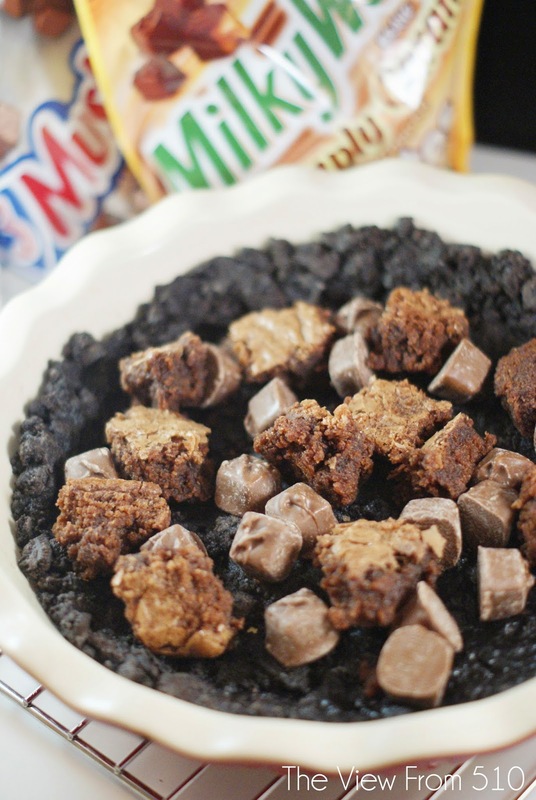 Layer crust with Milky Way Simply Caramel BITES and brownie bites. 3. 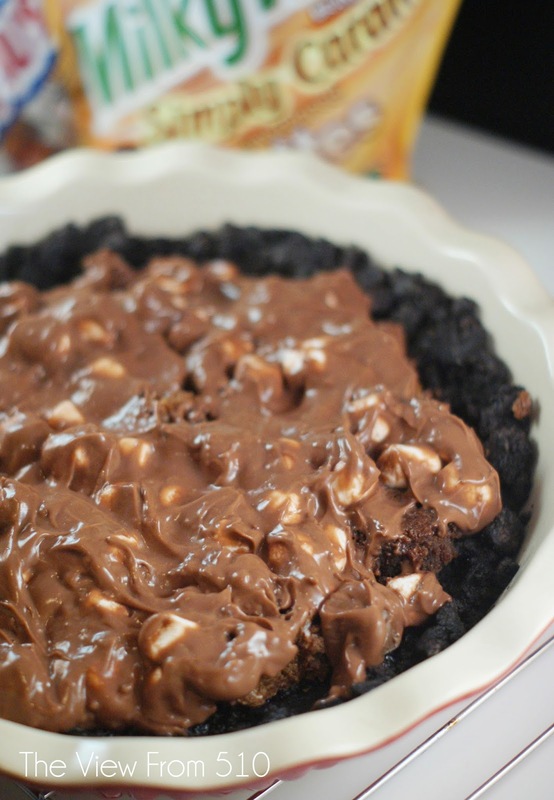 Mix prepared chocolate pudding and marshmallows then spread over layers. Cover pie and refrigerate for at least four hours. 4. When ready to serve top pie with Cool Whip and M&Ms. Serve cold. I have literally been chasing time over the last 359 days in the form of a three-foot, thirty-pound toddler. The saying goes "time flies when you become a parent." I bet all you mama’s of toddlers are nodding your heads. Infancy goes quickly, don’t get me wrong, but this toddler thing? Well, I’ve been so busy chasing him around that time has breezed right by me and now I look to the last few days of having a two-year-old. Age two has been such a building block for Jackson in his development and for us as parents. Much of the small details of the year haven’t been documented here on the old blog. Hell, last week I realized Christmas has still not made it to the blog. As stated above, we’ve literally been chasing time in the form of a two-year-old. People talk about "those kids" who just never stop. Jackson is one of those kids. Is it toddlerhood? Is it ADHD? Is it sheer payback for how Brandon and I ran our moms ragged? Perhaps it’s a bit of all of these things. As tiring as age two has been, it’s simultaneously been a whirlwind of love and laughter. Because just as you want to pull out your hair, throw your toddler on the front yard with a sign that reads "free to any home," and pour a gallon-size glass of wine, that same toddler who’s created this turmoil turns to you with angel eyes, a whispered I love you Mama and all is right with the world again. That is, you know, for at least one minute until the next world-ending tantrum begins over not being allowed ice cream for breakfast. The terrible-two’s are no myth, my friends. However, what most people overlook in the fog of this year is all that love those toddlers begin to display. So much love. Jackson continually comes to me out of the blue with a kiss and hug. He’ll bring me a flower. He’ll come hold my hand or better yet, pat my head. These little actions affirm that despite the tears by all parties, we’re doing something good, something right and lasting and beautiful with this gift from God. The chronic ear infections that plagued our first (and second) year of parenting pale in comparison to parenting through age two. I have had more "come to Jesus" talks with my child and my husband than I care to admit. I have had more bad days than I’d like to confess to. I have had more deep breathes and quick-to-anger moments than I’d prefer to have allowed. But I have also seen my child learn his alphabet, learn to count and sing and dance. I’ve had the opportunity to watch his little world grow ten fold in the last year. What he once never noticed is now worth a million questions. His inquisitive mind may never stop, and while I may tire from answering so many why’s and how’s and how come’s, I will never tire of watching his little mind grow. So, while many of the little details of Jackson in age two may not be documented on this blog they have certainly made an imprint on my heart and within our family. 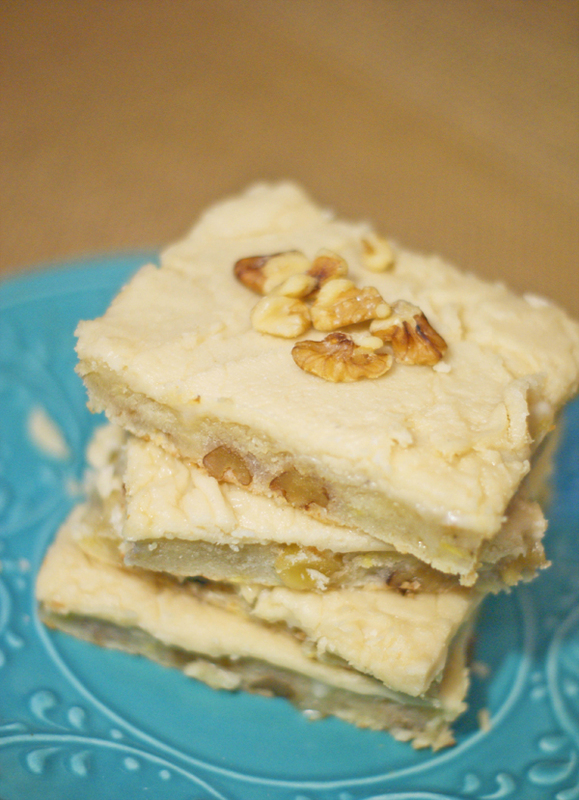 Banana Nut Brownie Recipe - plus a fantastic frosting! 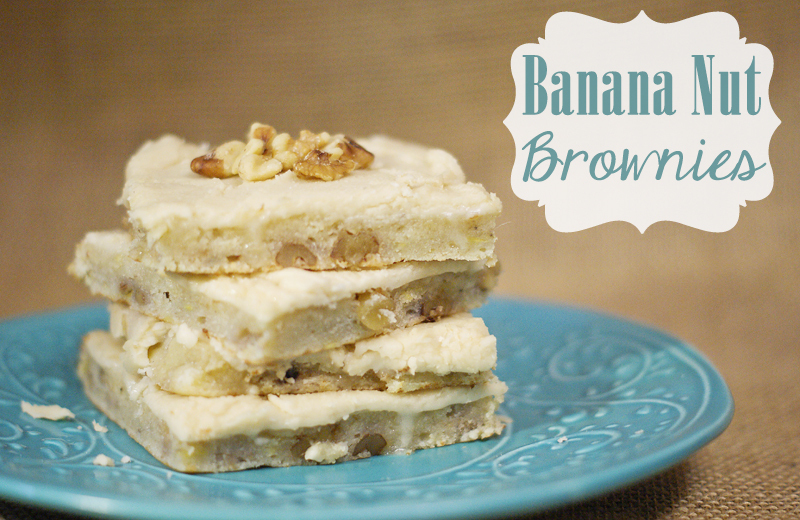 These Banana Nut Brownies with browned butter frosting are nothing short of sinful! In my kitchen, browning bananas are a recurring eye sore. So, determined to put the bananas to good use, I've found finally pinpointed my ultimate banana dessert for those over-repined bananas. By creating a batter that is more brownie than bread, this recipe will stun your tastebuds. Moist and flavorful, the brownie is a treat in itself. But then there's the browned butter frosting that knocks this treat out of the park. I must admit, though, browning butter has been a baking fear of mine. Every bakers' notes emphasize watching the butter closely as when it turns it turns quickly. After taking the time to make my first browned butter recipe, I can now tell you with full faith that it's not so bad. Yes, you should watch the butter and stir it constantly, but it's nothing to fret over! With football season officially having kicked off, kids back in school and the holiday season looming, now is the time to share those treats that spread a little joy. I hope you and your families enjoy these Banana Nut Brownies! If you're looking for some other sweet treats check out my S'mores Chocolate Chip Cookies or Oreo Bomb Cake. Hooray, Sarah and I are back to kick off another week of Life Created Tuesdays! 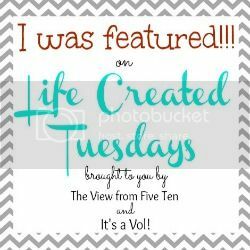 Let's kick off week twenty-five of Life Created Tuesdays with this week's features! 1. 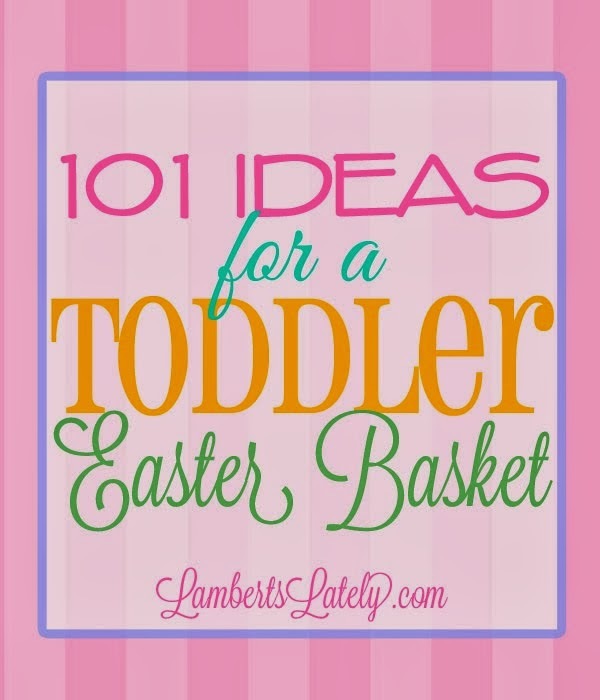 Leslie from Lamberts Lately shared her inspiring 101 Ideas for a Toddler Easterbasket! 2. 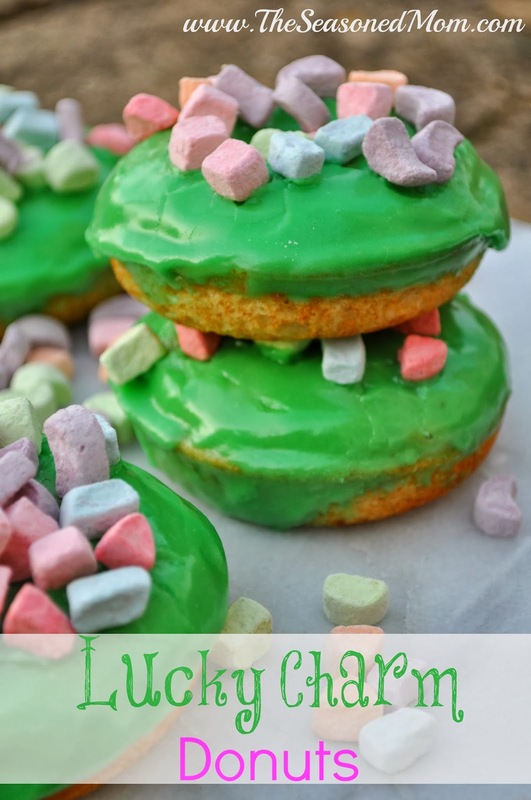 Blair from The Seasoned Mom shared these yummy Baked Lucky Charm Donuts! 3. 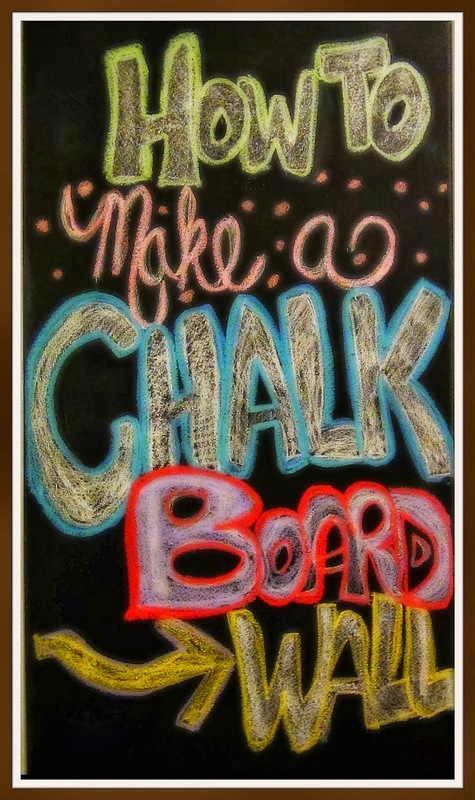 Kisha from The Glamorous French Housewife shared a video on an adorable DIY Chalkboard Wall. 4. 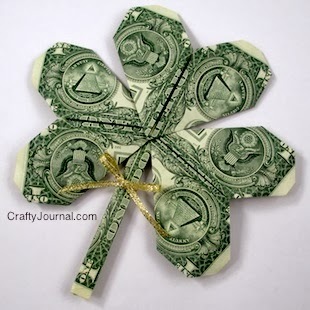 Noreen from Crafty Journal shared this easy and fun DIY Dollar Bill Shamrock! Welcome back for Life Created Tuesdays! Sarah and I are excited to kick off another week of this fabulous link party! Let's kick off week twenty-four of Life Created Tuesdays with this week's features! 1. 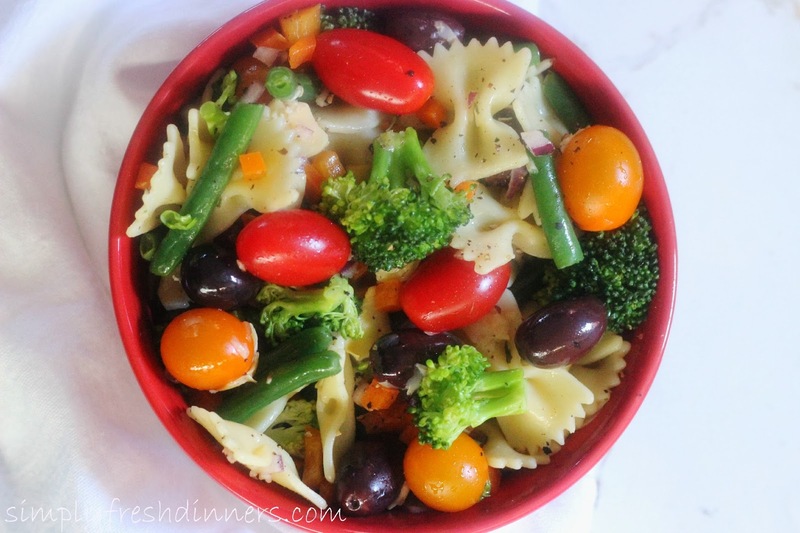 Robyn from Simply Fresh Dinners shared a delicious Low Cal Pasta Salad! 3. 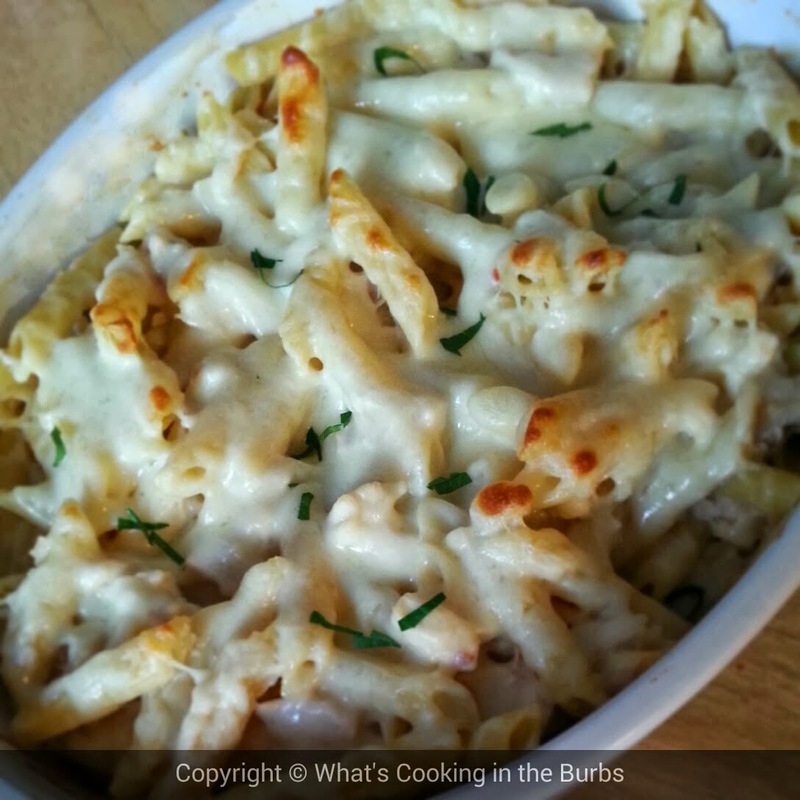 Bridget from What's Cooking in the Burbs shared her yummy Skinny Chicken Alfredo Pasta Bake. 4. 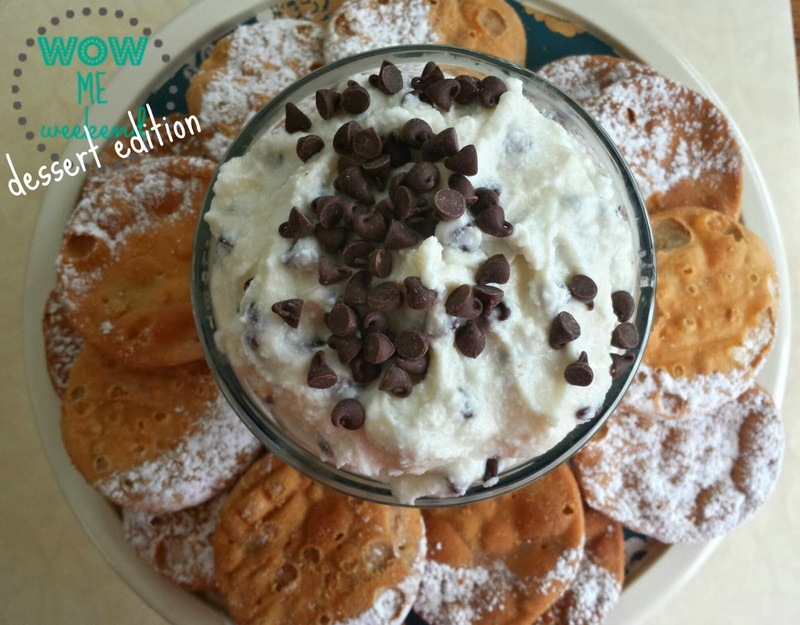 Cathy from Three Kids and a Fish shared this tempting Cannoli Dip. This time last year as I prepared for the Lent season, I challenged myself and my family to seeking a church home in our community. To be honest, it didn't happen. We didn't get ourselves into a church but once during this time and it's not one we've returned to. That's not to say that last year's Lent season was lost on me. No, that's far from the reality. What happened last year was just the spark that began a year-long journey of bringing myself and my family closer to Jesus and to finding a church home. March is a big month for me. Not only as Christian who observes the Lenten season, but also as a mom who celebrates her child's birthday and a paralegal who marks two years this month with her firm. We endured the terrible-two's with Jackson this year. It was a test that Brandon and I have weathered and I think are coming out stronger. While in the grit of things parenting may have presented many tests this year, it was my job as a paralegal that brought me closer to God than ever before. Like many people keep a Bible in their side tables, I keep the South Carolina state court rules. These are the laws of my work day. The words that stitch together the every action I'm able to take in my job, that my attorneys can take within their's and gives us a sense of how our judiciary can act in return. In the last two years as a paralegal, working within our state's highest courts, my eyes have been open, my heart has been tested and these laws in our state have taught me just how much I need the laws of our Bible. Many days, many people spoke to me as though God wasn't taking hand in what happened this year. What happened this year is that one of our cases went wild both within the law and the media. And while my job creates a necessary confidentiality, it means that no one except the legal teams will really know the actual facts and just how big God was in this year. There are four dates last year specifically that I've never given myself, my soul, my spirit, my heart, my absolute everything to God so much. Every bit of trust and faith I have has been lifted this year and He has walked with us for certain. Our prayers weren't answered quite how we'd requested but it's eternally clear to me that He did big things this year in the hearts of many involved. Now as we begin another Lent season, I'm a mess. My heart is just so thankful. 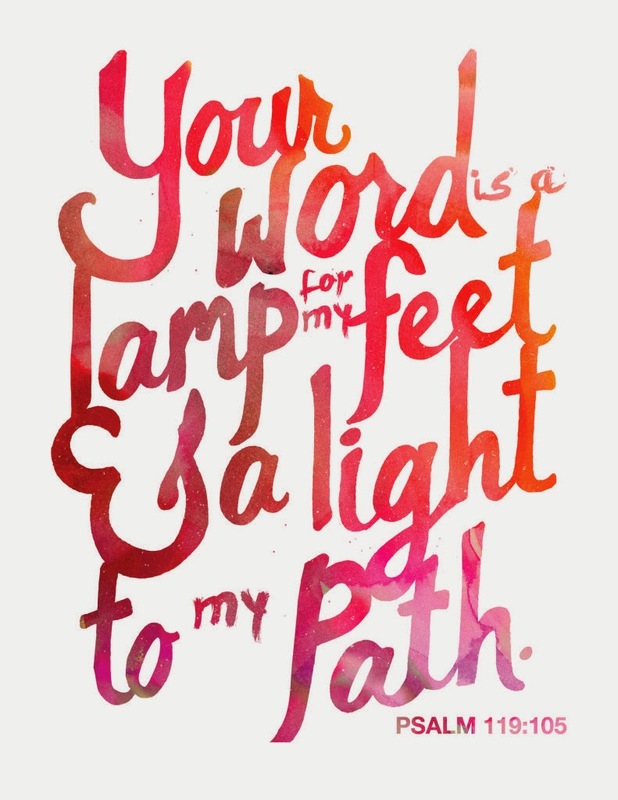 Spending time with His word this year has shifted my very core. This season, I'll be seeking Him more, spending more time with His word and the Gospel. I'll be talking with Brandon about how we can commit ourselves more to glorifying Him through our family and a big part of that is getting involved with the church we've been attending. This has and will always be one of my most cherished times of the year! If you observe Lent, I'd love to hear what this season looks like for you in the comments!